Let’s dive right in to some questions! My bishop tells us we were generals in the war in heaven in the preexistence. Does that mean I outrank him? What can I order him to do for me? I have some bad news and some good news. It’s a common theme for folks to be told they were generals in the preexistence. This is done to make them feel like special snowflakes. That’s the bad news. The good news is that you still outrank your Bishop because he is supposed to be of service to the Ward members. I would recommend having him give you his raiment in addition to various other merchandise items and monies. After all, you can always remind him that God loves a cheerful giver. 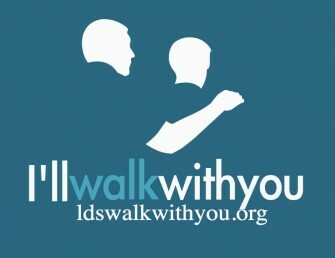 Which Mormon Facebook group is the one true and living group? You should join none of the Mormon Facebook groups in existence because they are teaching incorrect awesomeness. That, or join all of them, it doesn’t really matter. 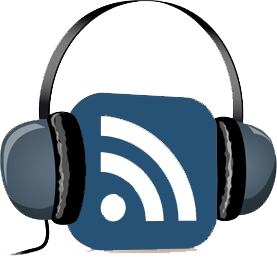 “How can I make peace with Church history and still maintain my testimony? This is a subject you are definitely not alone in. Many struggle to find a balance between loyalty to The Gospel and loyalty to The Institutional Church. It is important to remember that the two are not one and the same. A testimony is a personal thing that can only be known by the bearer thereof. You know what your life experiences have been. You know whether you have a true witness of Christ or not. If you do, no amount of Church history can really take that away from you. If you don’t then maybe you will need to seek your enlightenment elsewhere. No one knows this but you. All I could tell you is my own personal beliefs on the issue but again that would merely be relying on another for something you can only get from yourself. I realize it is frustrating to ask a question and essentially be told to go do the work yourself, but I think that in your heart of hearts you know that is the only real answer. For what it’s worth, Church history has zero impact on my testimony. I reject any notion that says it must. If you’re different and feel that it does have an impact then my only advice would be to tackle it head on. The only way out is through. Yeah, I don’t buy that “saved for the last days” BS either. I have met some Bishops that were special flakes though. Yeah, every generation for at least the past 4 generations (possibly more) has been told that they are the “choice” generation. Oh well, that’s why I drink Pepsi–If I can’t be part of a choice generation I can at least make the choice of a new generation. Daniel, you have me giggling (yes, I giggle–or maybe chortle). EOR, I love the advice that the only way out is through. Of course, there are likely many ways through, but none of them are easy. I also wish I could come up with a good question for you. Jonathan, I probably couldn’t answer any question you came up with anyway, haha. I would like for you to send one though so if you stumble on something you would like my take on feel free to e-mail it. Again, just a reminder that I still live in the Twilight Zone, where feelings supersede facts. How can any amount of feeling, “spiritual confirmations,” or “personal experiences” ever take precedence over facts? Do you make other decisions on feelings while ignoring facts? Would you decide upon a spouse based solely on feelings, while ignoring facts about that person? I imagine you would not, but when it comes to the decision that influences nearly every aspect of your life – the Church, you can ignore historical fact? How can one maintain intellectual integrity by ignoring facts and relying on feelings when it comes to “God,” but not in other areas of life? If President’s Hinckley’s words are accepted, then clearly, Church History and the facts regarding it, do matter. But, then again, you reject “any notion that says it must,” even if that source is Christ’s own Prophet. Considering you know absolutely zero about what influences nearly every aspect of my life (and you opining that it is The Church proves precisely how misguided you are) forgive me if I put no stock in what you have to say. Let’s be real because since like me you are a fact-lover. The truth is, I don’t care what you think or what your processes are. This person asked me for *my* opinion, and that is what I gave them. I already mentioned that The Church and The Gospel were two separate things (which is why Church history has no bearing on my testimony of THE GOSPEL) so all of your bellyaching about facts/no facts is completely irrelevant. Testimonies of Christ don’t come from facts, they come from witnesses of the Spirit–so yes, from feelings. Not from feelings that one just simply decides to have. I have no interest in converting, or re-converting you so if the notion of a faith-based testimony doesn’t appeal to you bully for you and happy day. As for me and my house….well, I suspect you know the rest. What were you trying to say, EOR? Please be plain in your speech. Don’t hide your feelings. You absorb facts and ignore feelings…so essentially you’re saying you’re a robot? Sounds fun. EOR Thankyou for your testimony of the gospel. I have just recently been coming across some unfavorable ‘facts’ about the church but knowing the gospel of Jesus Christ to be true, I am struggling with combining the two. I still wonder if people are finding ‘facts’ that the bible was just a fictional book of sorts. Your comment made so much sense to me. There has been a great deal of study into theories of the Bible. I personally believe that a great deal of the Bible is allegorical. I think it is important to remember that these are people from a time where the Earth was considered to be flat and so there was a great deal of the piece of the puzzle missing for them. We are fortunate in our day and age to be able to see how science complements religion in helping us to answer the universal questions we all face. I know there is a lot of humor to this piece, however, these two sentences were a direct answer to a prayer I had been having and when I read it, it struck me so distinctly that I burst into tears, sobbing. I also know they are your words, but sometimes we need other’s words to articulate what we feel. Your words helped me remember what I knew and experienced for myself, in a powerful way. Thank you, thank you, thank you for these sentences. 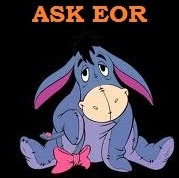 Did I just bear testimony of “Ask EOR?” Yup, I think I did. Thank you for your comment. I also agree that we are put here to answer prayers for each other. I’m glad that my words were able to act as a healing balm for you, and I am humbled that I was the one to be able to do so.